Leak detection on water supply pipes and services. Leak repairs on water supply pipes and services. Mains and service replacement and renewals. We use moling (trenchless replacement) where possible. 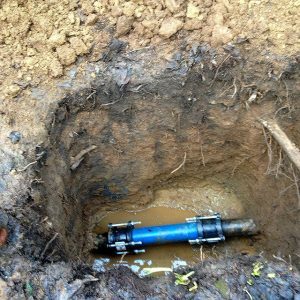 Leak detection and repair in Devon and Cornwall. If you suspect you have a water leak on your supply pipe then give GCW a call today! The longer a leak goes on the higher your water bills will be and dependent on where the leak is will affect who is responsible for the repair. A high water bill showing abnormal consumption (if you are on a meter). The possible sound of running water. How to check for a water leak? Turn off all appliances that use water including washing machines, dishwashers and taps. Wait for 2 hours and don’t use the toilet or take a shower in that time. Check the meter again, if it has moved then chances are you have a leak. Turn off the internal stop tap usually located in one of the downstairs rooms such as under the sink in the kitchen, utility room or a downstairs bathroom. Recheck the meter, if it has moved again then chances are you have a leak on your underground pipe. Who is responsible for a leak? The utility company is responsible for all the pipework that’s runs up to the boundary of the your property, this includes the water main, the communication pipe, the stop tap and the water meter if you have one. The home owner is responsible for the supply pipe from the boundary of the street in which the main is laid into the home and connects with the internal stop tap. 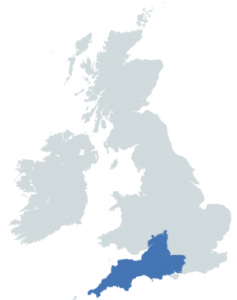 We offer over 30 years experience in the water utility industry, offering our services for both residential and commercial for Devon and Cornwall. 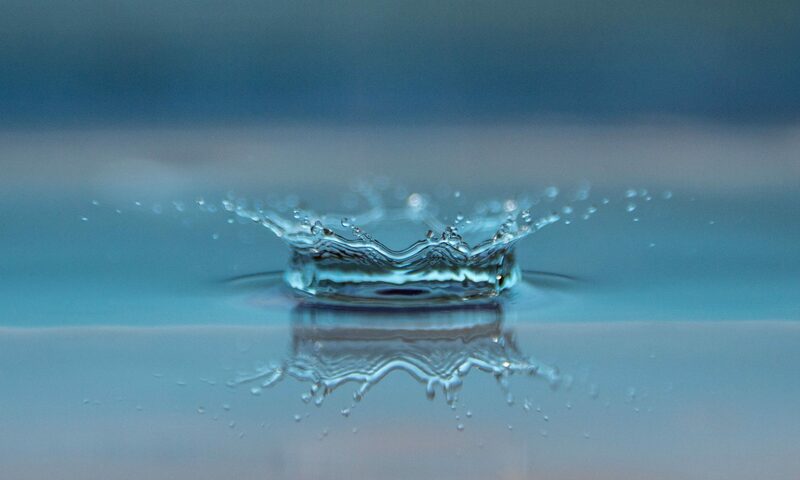 GCW use a combination of traditional and latest technology to detect leaks. The Leak Detector ground mic is an acoustic leak detector that finds leaks easily by electronically amplifying leak sounds, automatically filtering out noise and isolating the leak sound leading the operator to the source of the leak. Once the leak has been detected the water will be isolated to enable the repair to be completed the water will be turned on to check the repair at times. It is possible to have more the one leak on your supply pipe, in these cases it is recommended to replace the supply complete as it is an indication that the pipe has come to the end of its reliable life. On average supply pipes that are under 25 metres long it is more cost effective to replace the supply pipe complete rather than having a spot repair but not in all cases. GCW Services renew the supply pipe from boundary to internal stop tap replacing the old stop tap and connecting to the existing internal pipe work from that point. GCW Services use underground moling technique where possible this is more customer friendly but moling cannot be guaranteed in all areas although it is the preferred method. 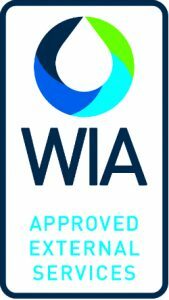 All our schemes are updated to the current water regulations advisory scheme (WRAS) regulations, we also use an independent consultancy www.caseenvironmental.co.uk. This allows GCW Services to concentrate on construction and gives the customer /client peace of mind. GCW Services can design overall schemes or revise technical submissions liaise with various bodies and individuals including local authorities, technical experts and consultants, other contractors and residents, monitoring the progress of projects from beginning to end and supervising the operation. GCW Services guarantee their pipe against leaks for 10 years.